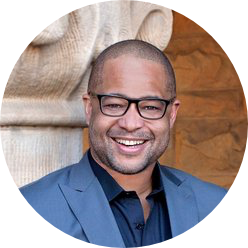 Nationally-renowned pastor and author Bryan Loritts will be delivering the message at a special Tuesday Night Baptism Service on May 7 at 6:30pm. 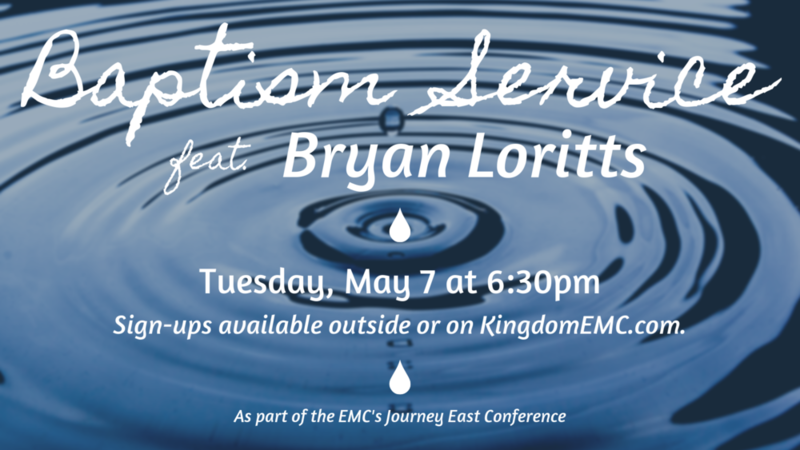 This service is part of the EMC’s annual Journey East Conference hosted at Kingdom, and we hope you’ll join us! First, we encourage you to read a little bit about the sacrament of baptism, the Biblical basis for it, who it’s for, and why we do it. If you are a born-again Christian ready to make a public declaration of your faith, we would be thrilled to be a part of this step of faith with you! Bryan is the pastor of Abundant Life Christian Fellowship in Silicon Valley, California. A dear friend of Kingdom Church, Bryan is also an award-winning author of six books and travels all over the world preaching the Good News of Jesus. 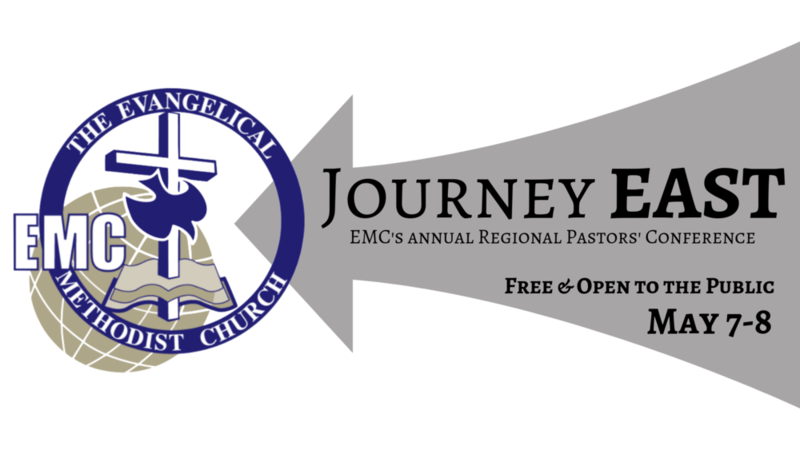 Journey East is the EMC’s annual regional conference for pastors in the denomination, and this year the conference will be hosted at Kingdom! While the content of the conference is primarily geared toward pastors, the conference is totally free and open for anyone to attend. Read below for important info about the event! The conference is totally free for the public and childcare is provided for daytime and evening events. Registration is required for all events except evening services. Take a look at the schedule below; if you think you’d like to attend any sessions other than the evening services, please click below to register! Watch all our services on Facebook Live!